No matter how much experience you have in buying cars, even veteran car buyers can use a little help getting good lease deals in Fort Lauderdale, FL. Leasing new cars like the Nissan Versa is getting more and more popular among drivers of all ages. Leasing is perfect if you want the flexibility of driving a new car every few years, want lower monthly payments, and aren’t quite ready for the demands of owning a car. If you think leasing a car is right for you, your next step is finding a good lease deal. Here are some tips to help make this process a little easier. If you can’t remember the last time you checked your credit score, it’s time to change that. Knowing your credit score isn’t just important for getting a good lease deal, but also to make sure you’re in good financial standing in general. Before you start looking to lease a Nissan Versa, make sure your credit score is decent. Even people with bad credit can lease a car, but showing the dealer that you’re trustworthy is the best way to get the low rates you deserve. Car shopping is exciting, but don’t let the excitement of getting a new car keep you from shopping smart. The last thing you want to do is lease a car from the first dealership you visit. Go to different dealerships in and around Fort Lauderdale, FL, and compare lease deals at each one. This gives you even more Nissan cars to choose from as well as the perfect negotiation tool. A lesser-known tip for getting the best lease deals is to choose a car that holds its value over time. 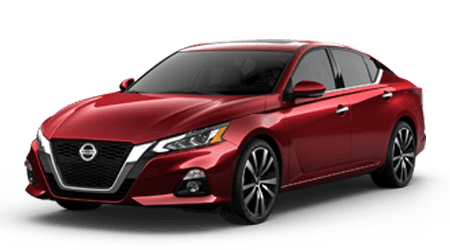 A car with a good resale value, like the Nissan Versa, will have lower monthly lease payments since the car will depreciate less over time than other options. Kelley Blue Book is a great online tool for checking the resale value of cars. After doing the necessary research on lease deals in Fort Lauderdale, FL, you’re ready to visit a dealership. Stop by Performance Nissan for more information on leasing a Nissan Versa. We have some of the best deals around.